The temptation to pick off the next gear is there – that’s when things get really exciting I’m told – but I’m not taking any chances today. This isn’t my car, and I’m pretty sure that Chris, its owner, isn’t too keen on having it spend the next 28 days at the police impound yard. 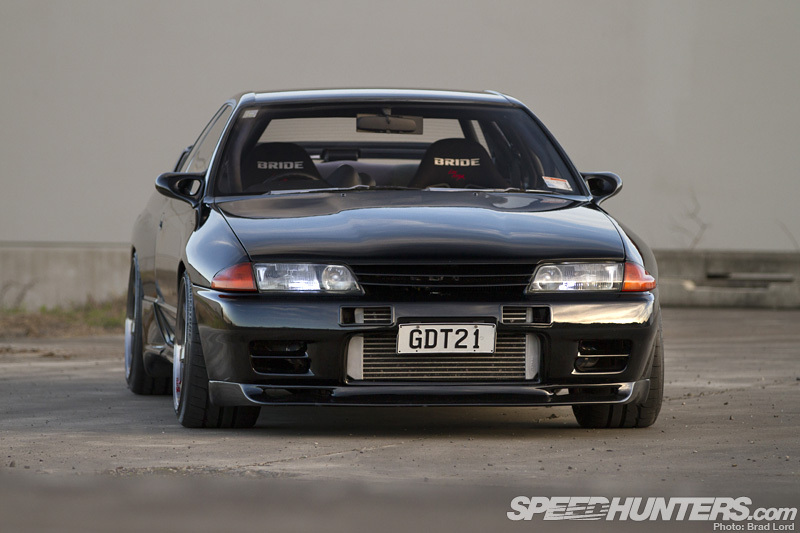 I can tell it’s fast, which in itself is quite scary, because by modified GT-R standards, the ’89 BNR32 isn’t making a huge amount of power. Granted, the 580whp generated by the inline six when it’s wound right up isn’t anything to sneeze at, but everyone knows how far these engines can be pushed when you rub them in the right places. Here’s one example I gave you a few weeks back. 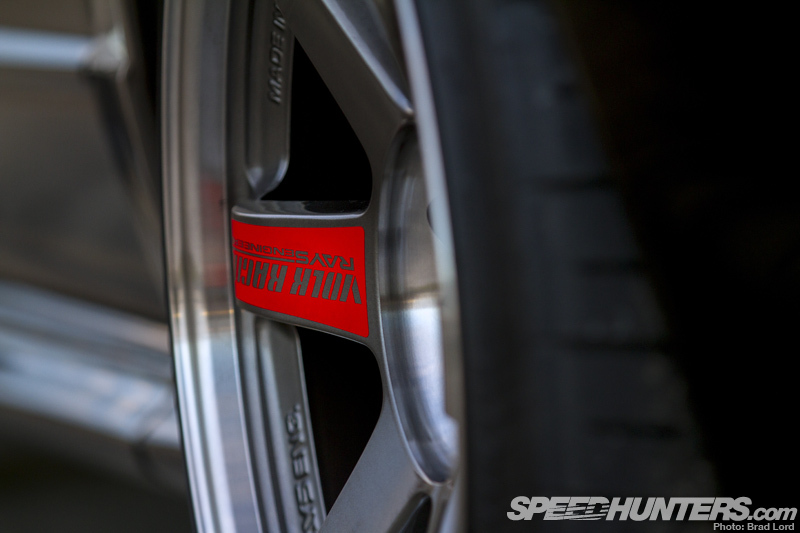 Let’s be clear here though – 580whp will get you into a lot of trouble if you’re not careful. And you have to be, especially in a car like this in a country like New Zealand where the maximum speed permitted on the highway is 100km/h. 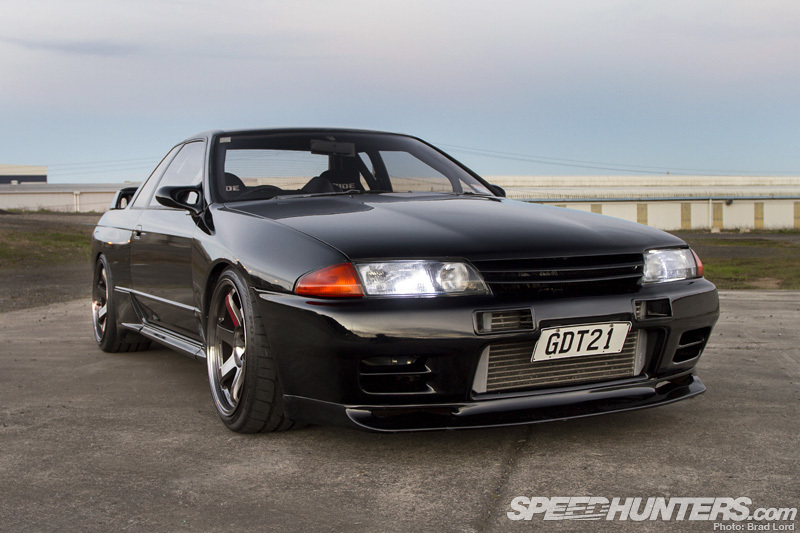 I have little doubt that Chris’s GT-R is capable of three times that though, which would probably make it quite well-suited for late-night antics on the Tokyo Bay Aqua-Line. 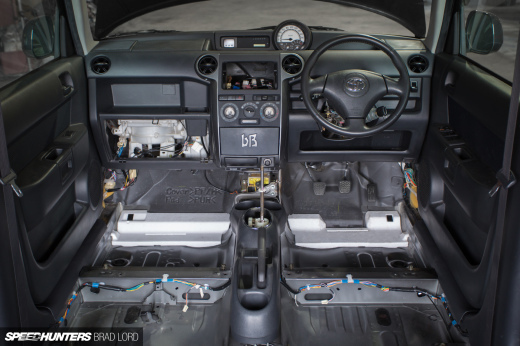 That fact is quite integral to the story too, because the manner in which the car has been built draws much of its inspiration from the heyday of Japanese highway racing during the ’90s. Even though it’s been built for top-end – something Chris gets his fix of at every track day opportunity – the GT-R is surprisingly tractable around town. 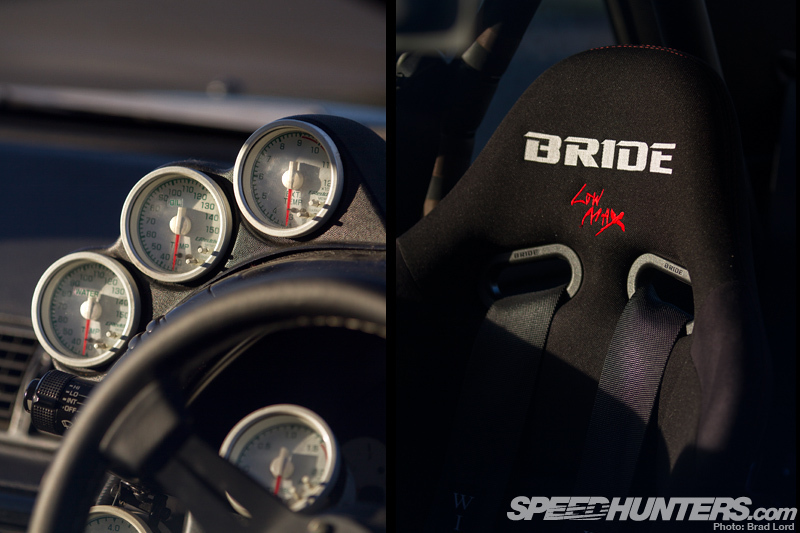 That is, aside from the fact that you’ll break the urban speed limit well before the needle on the boost gauge even quivers, or you feel any real force from the big six. Turbo lag is rarely welcomed, but from the driver’s seat of this car it doesn’t seem at all out of place. But the sound the car makes, even at city street speeds, quickly makes up for all of its low-RPM shortcomings. At least it did for me, anyway. 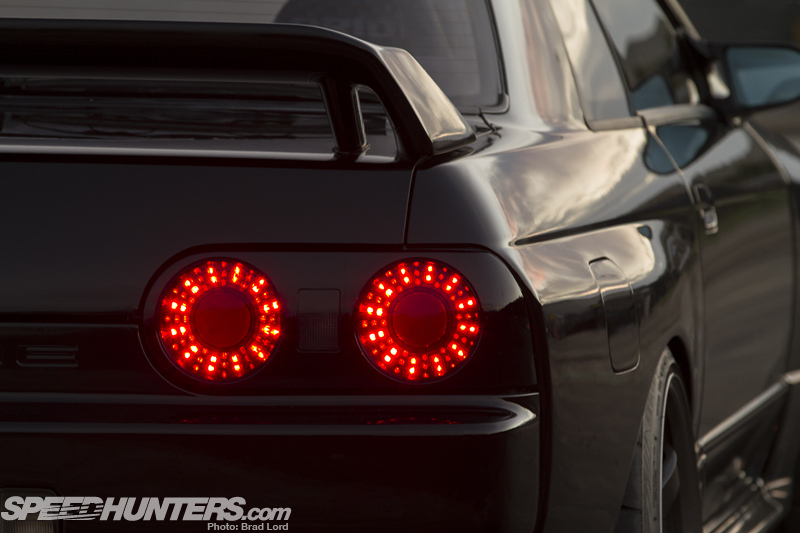 As you can probably tell by the way the GT-R looks, Chris has good taste when it comes to modifying; something that transcends through to all the cars in his garage. I’m sure you’ll agree that Volk Racing TE37s by RAYS are a good fit for the BNR32, and even more-so in special edition Super Lap (TE37SL) guise and measuring 18×10-inch on all four corners. 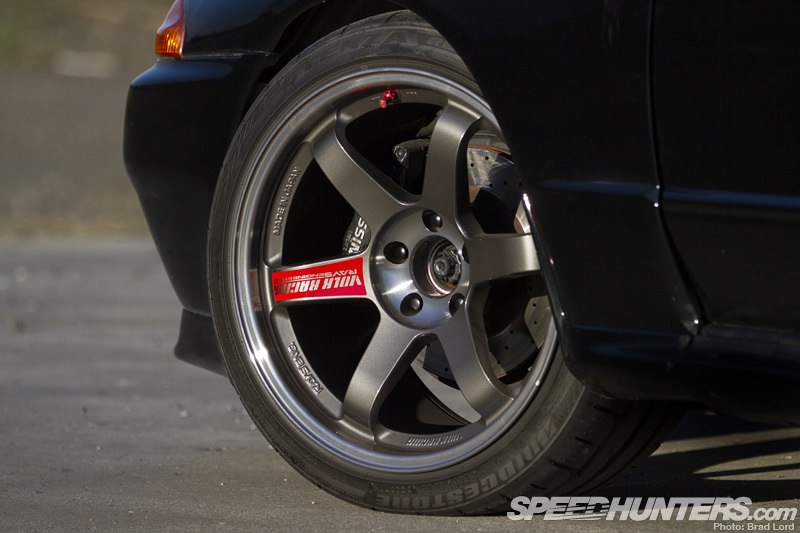 Wrapped up in 265/35R18 Bridgestone Potenza RE-11 rubber, they’re a snug fit under the Skyline’s factory-fattened alloy fenders thanks to an aggressive ride height setting via Tein Flex coilovers. Truth be known however, the adjustable struts are but one component in an extensive suspension tuning exercise that features the full catalogue of Cusco underbody accessories and beefed-up sway bars front and rear. The brakes have been given a sharpen up too, with slotted rotors and Endless pads. And then there’s the RB26 engine, which as I’m sure you can already tell, is the recipient of a rather tough upgrade for the street. After rebuilding, the block retains its 2.6L capacity, but features forged pistons and rods for extra strength. 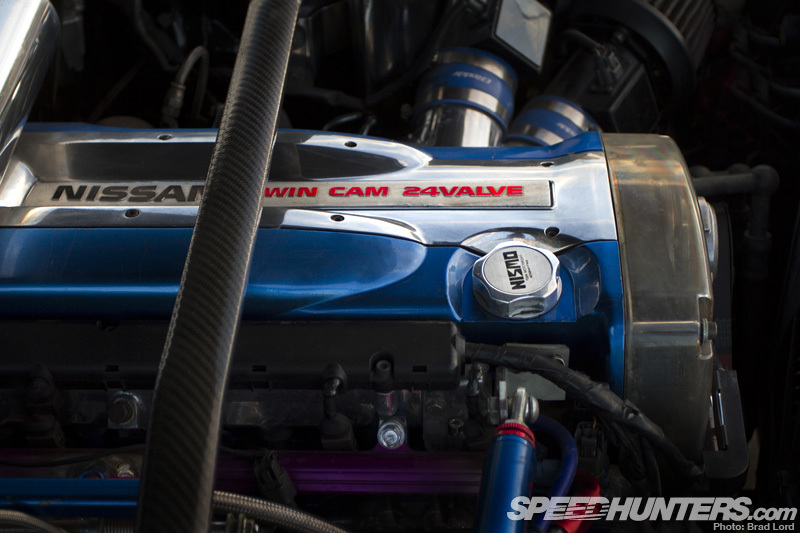 Up top the DOHC 24-valve cylinder head uses Tomei cams and a valve train upgrade. The turbo is a Garrett TO4R (aka T67) perched on a low-mount tubular exhaust manifold. The big compressor breathes through A’PEXi Power Flow filters and Nissan Z32 air-flow meters, with boost control through an HKS GT wastegate and A’PEXi AVC-R set at 1.8bar (26.5lb). 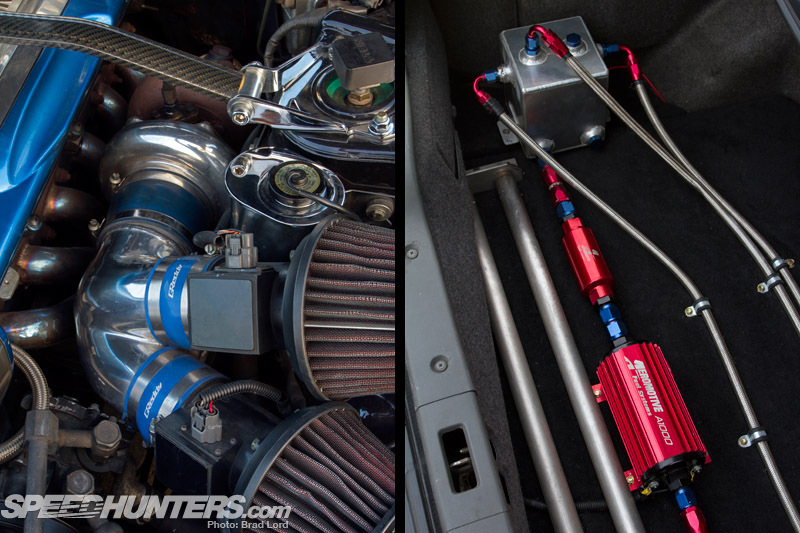 The engine’s appetite for high octane pump gas is large, but satisfied by a boot-mounted Aeromotive A1000 pump that feeds upgraded injectors via a modified fuel rail, Aeromotive fuel pressure regulator and stainless braided lines. There’s all the other stuff you’d expect too – a large front-mount GReddy intercooler, an HKS oil cooler set up with filter relocation kit, and an alloy radiator. 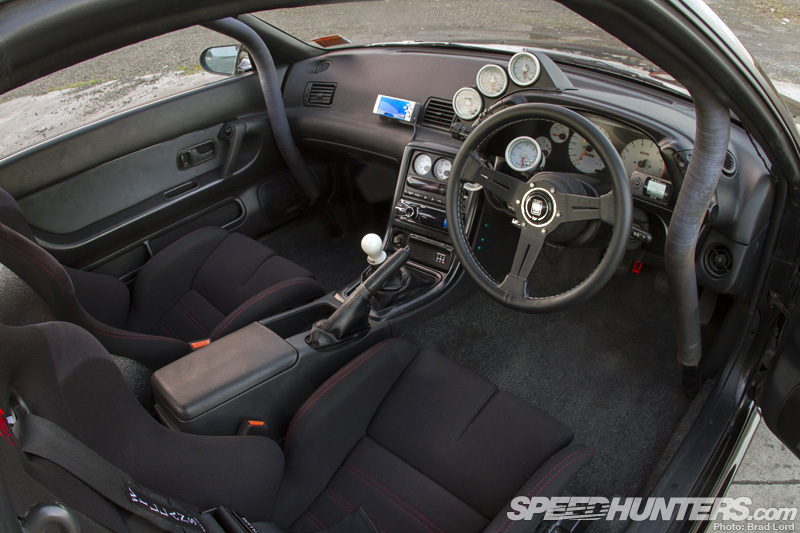 In keeping with the Japanese theme, the whole set up is tuned through an A’PEXi Power FC engine management system. As much as I love how things look under the hood, I think the real beauty is in the way that the car has come together as a cohesive package. 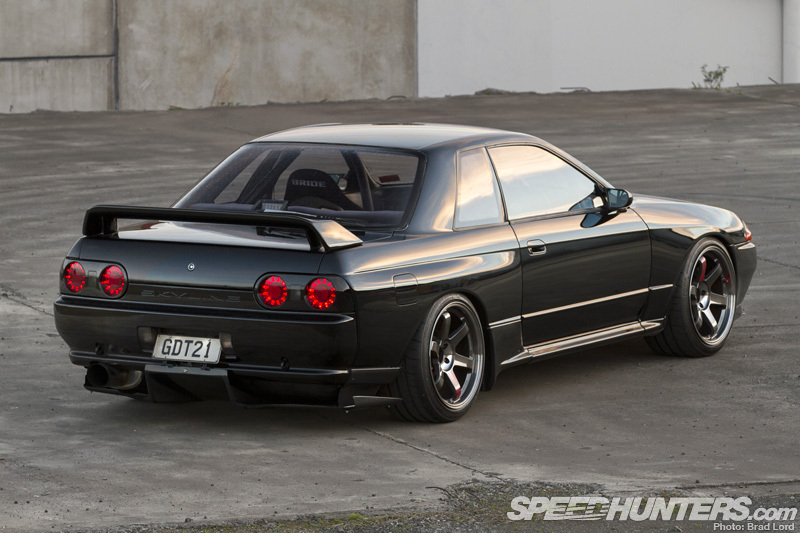 For such a tough Skyline, the exterior modifications are remarkably minor. I don’t know about you, but I’d be very happy to press my garage door remote every morning and be greeted by this pretty face. You don’t see many modified GT-Rs still running their factory-fitted wing these days, but looking at the car in profile, I’m not sure why you’d want to pull it off. 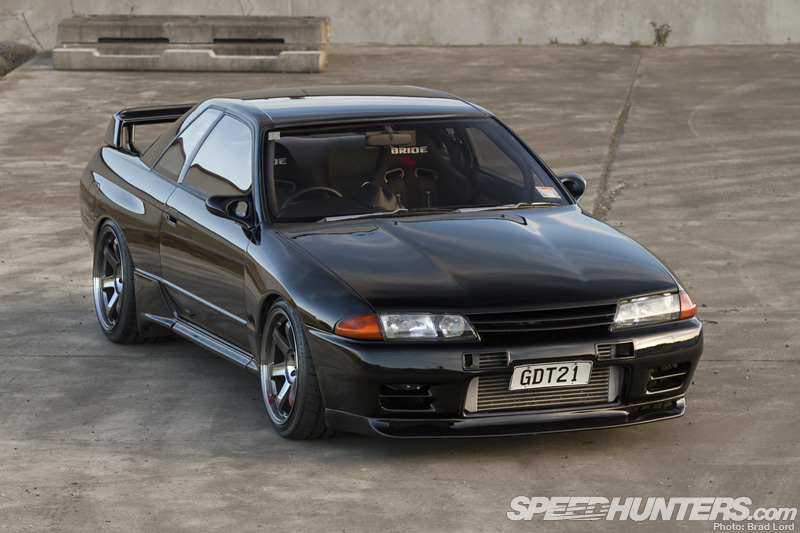 With a NISMO front bumper and lip spoiler providing a deeper front end, the rear spoiler balances it out perfectly. Gannador mirrors are a nice addition too. At the rear, the only upgrades are the carbon fibre under-bumper diffuser and a pair of Nagisa Auto LED taillights. Helped along by the GT-R squat stance, the look is simple, yet effective, wouldn’t you agree? 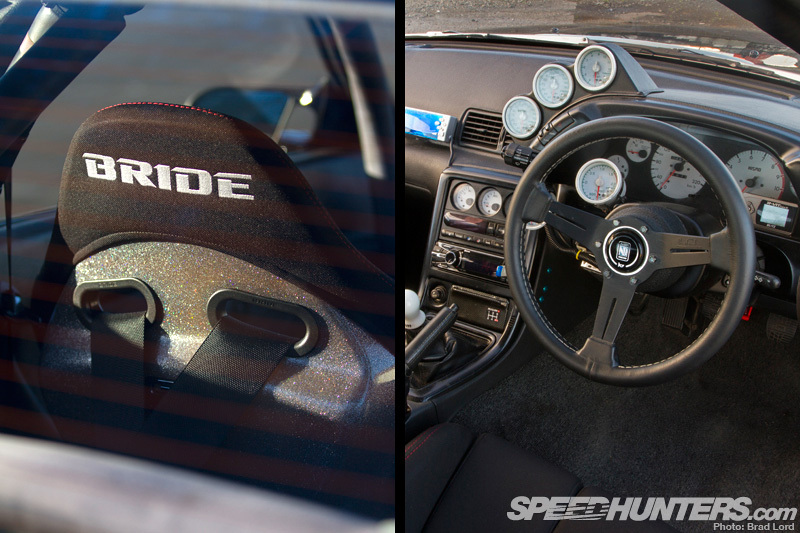 A similar approach has been taken with the interior, albeit for GReddy gauge overload. 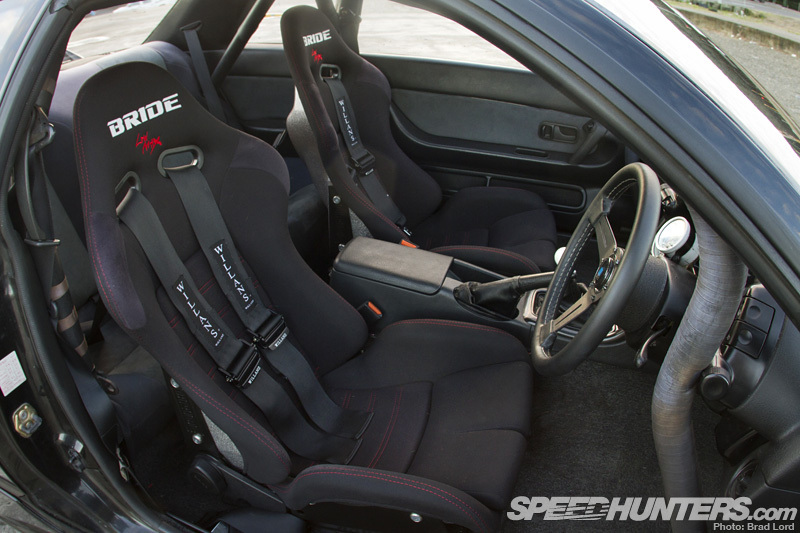 Replacing the aging factory front seats are a pair of deep-slung Bride Low Max recliners flanked by Willans harness belts for its track day jaunts. It’s definitely a purposeful-looking place to be, and again is totally in keeping with the spirit of the build. Save for a few details, this could easily be a scene out of Option magazine circa 1995. It’s over-the-top, but I like it. 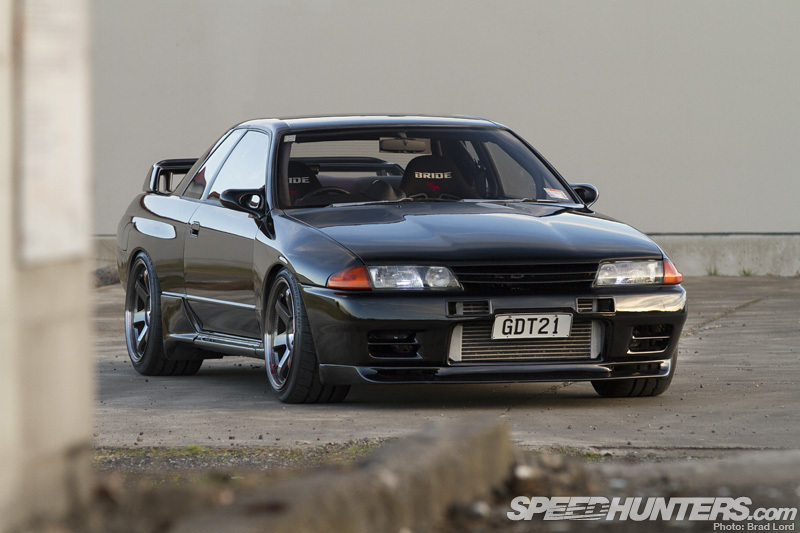 As I’ve mentioned in previous posts, the Skyline is a pretty popular car in New Zealand, and even though the BNR32 model was never sold here new there are a lot of GT-Rs on the road. And thanks to relaxed rules for importing and registering cars 20 years or older, there’s now a resurgence in 32s coming in from Japan again too. I’ve had the pleasure of driving a few since I first began working in automotive media, but if I had to pick just one of them to take home and call my own, I think it would have be this one. I wouldn’t change a thing either. What are the offsets of the wheels? 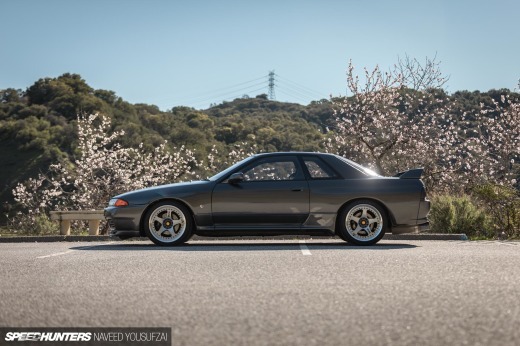 I personally think the TE37V wheels would have looked much better because the regular ones just look oversized on the R32. I really want to know what specific strut tower bar that is, because I've never seen one brace the engine like that and I can't seem to find it anywhere. What are the offsets on the wheels? Did you make any modifications to make he wheels fit?